The "recipe" for family night is simple. It's nothing fancy, nothing difficult or elaborate, unless you want it to be. It's family. Togetherness. Awareness. Pay attention. Engage your senses and be alert and aware of your children. They don't care what you cook, if it's homemade or fancy, and they don't care if you have picture perfect "quality time." They just want your attention. They want you to notice. Oh, and HAVE FUN! 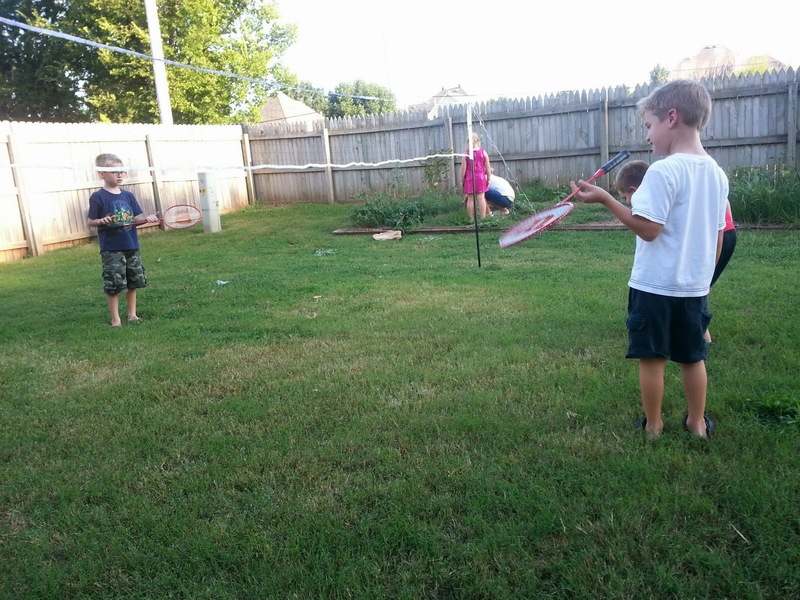 It's been a while since I've posted a family night post, and not because we haven't been having them, mostly because I've been kind of lazy on the blogging. I'm rediscovering my own need for simplicity and redesigning how I think about my business and my blogs. More to come on that; for now, I'll get on the the recipe for family night from several weeks ago. 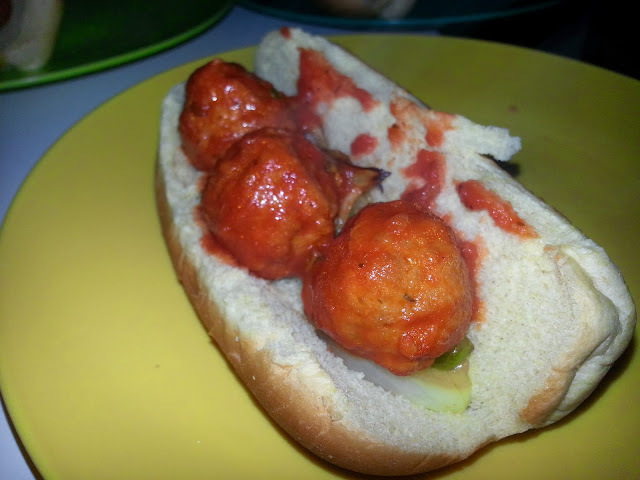 Putting together all of the random groceries we had in the house, I decided to make Meatball Subs. 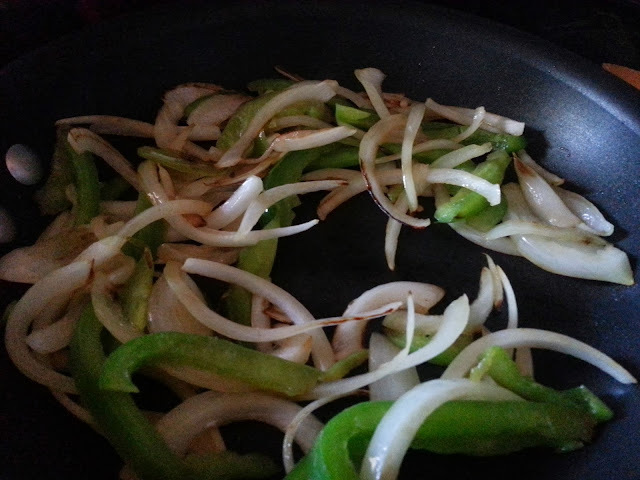 I started by sauteing some yellow onions and green peppers in a frying pan. Just a bit of olive oil and salt and pepper. 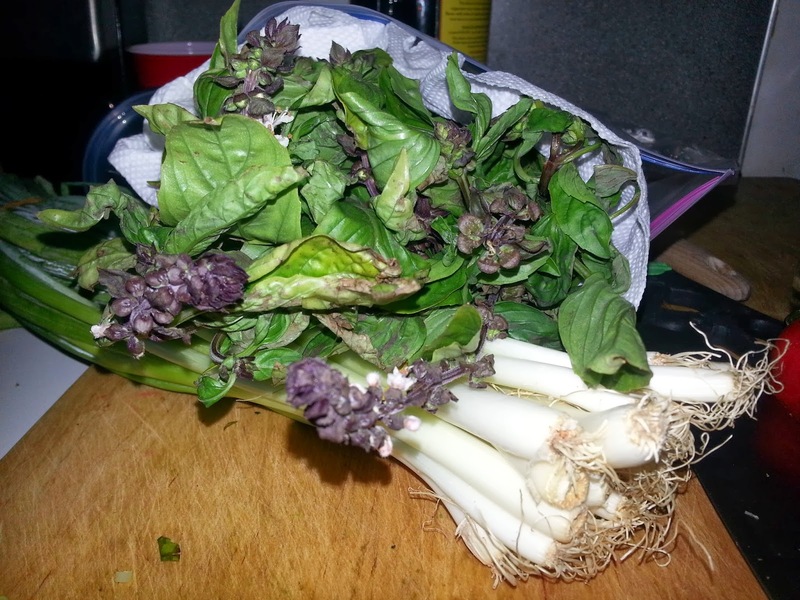 We had some lovely produce from the Cherry Street Farmer's Market: Sweet Thai Basil and HUGE green onions! I decided they must be used, so I grabbed a couple of fistfulls of basil and roughly chopped them, and did the same to about five of the green onions. 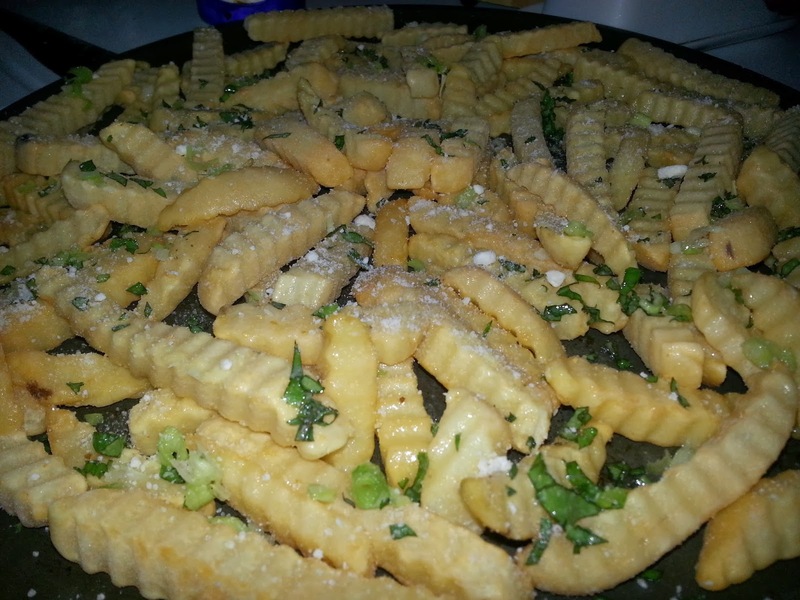 Those got sprinkled on some good ole frozen french fries, along with some drizzled olive oil, parmesan cheese, salt, pepper and garlic powder! Et voila, Italian fries! Wait...they wouldn't say voila in Italy, would they? Next I threw some of the basil and green onions into the spaghetti sauce. Nothing fancy here, kids, just cheapo canned spaghetti sauce, spiced up with fresh chopped basil, garlic, green onions and oregano. I had some frozen meatballs that I threw in. These were store bought, but of COURSE if you're up for making some from scratch, by all means do it! Meanwhile, outside, Marc had set up the Badminton set for the kids. 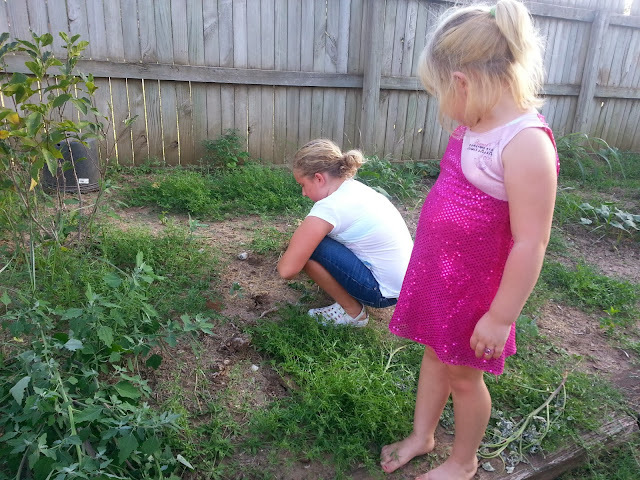 Some were getting distracted by a mole in the area of our yard we lovingly refer to as the weed garden. No, we're not growing cannabis, those are just weeds that have taken over what should be a landscaped flowerbed! 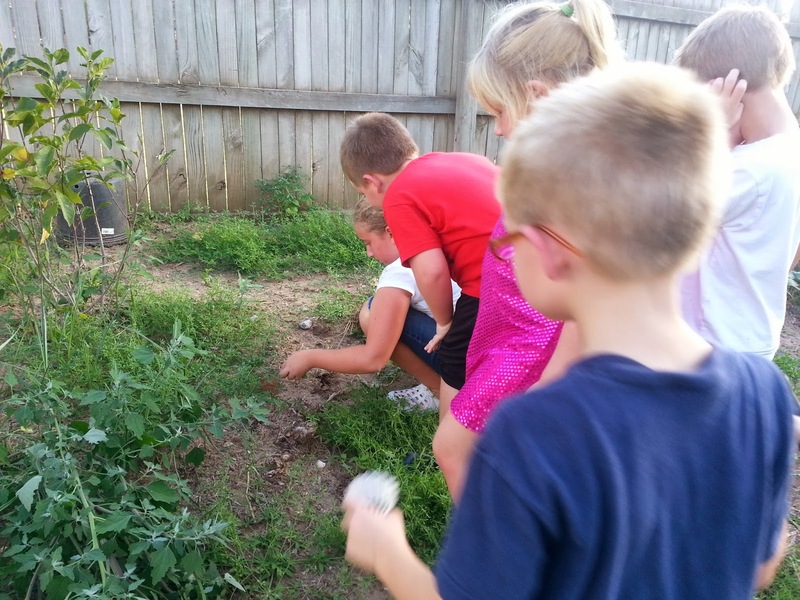 Soon, all the kids and neighbors had gathered to find the mole! 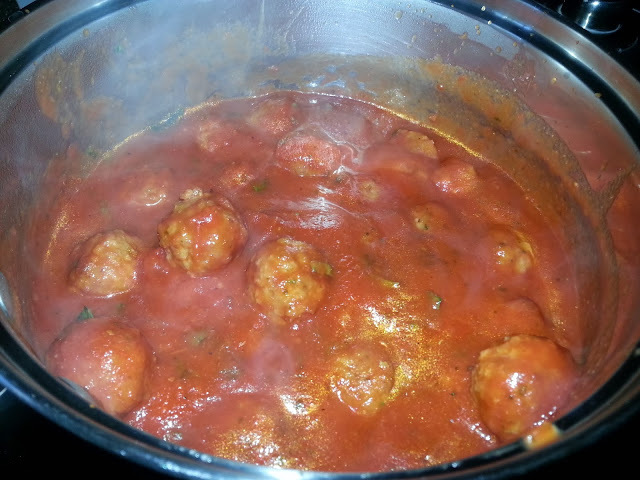 Back inside, I began assembling our meatball subs. I would totally recommend some lovely italian rolls, or even sourdough, but I had an overabundance of hot dot buns that night so we just used those. Like I said, kids don't care if it's fancy! I started by piling up the onions and peppers. After I made the first round of subs, I decided I really liked topping the sandwiches with the onions and peppers instead, but you get the idea! Top her with some cheese! 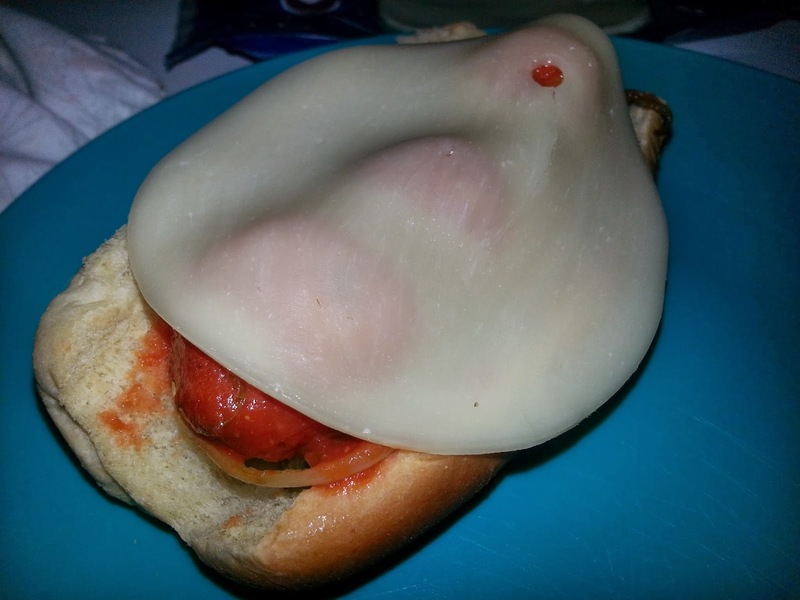 I used provolone, but mozzarella or even shredded Italian blend would be lovely. If you like it spicy, try some pepper jack! Hehe, the picture looks a little silly because the cheese wasn't completely melty yet, but kids were hungry and I was in a hurry to get them on the table. 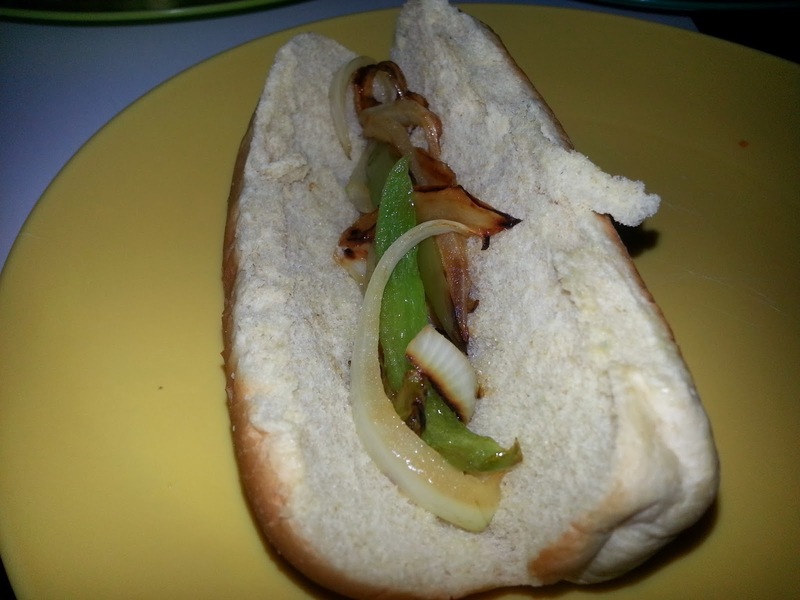 What I would do next time is top the meatballs with the peppers and onions, then your cheese, then pop them under the broiler to get that cheese nice and bubbly! I got lots of, "Mom, this is THE BEST thing you've EVER made for dinner!" 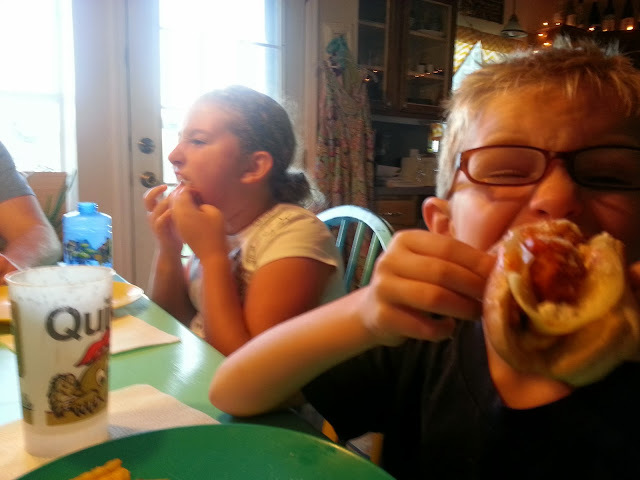 As you can see, they were literally shoving the subs into their mouths! Even Marc kept saying, "Seriously, babe, these are awesome." 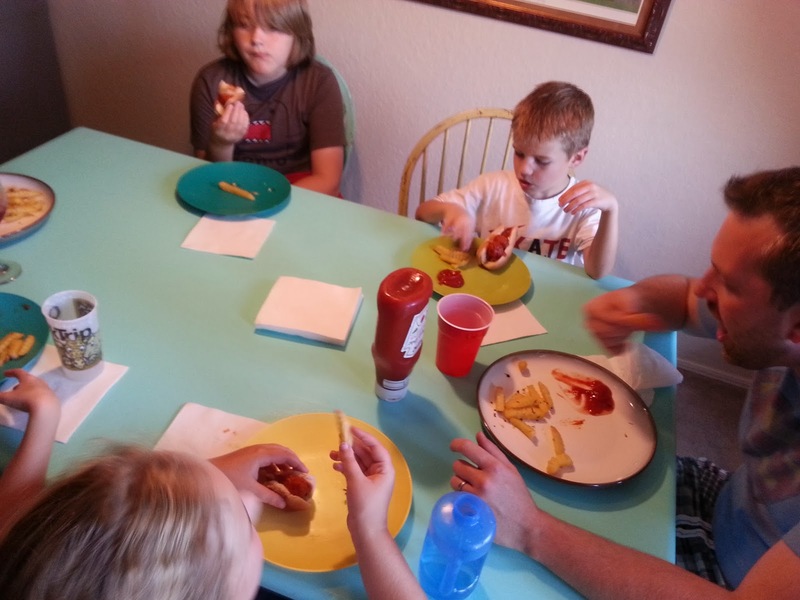 The fries were a hit too, and meatball subs are officially on our dinner rotation! 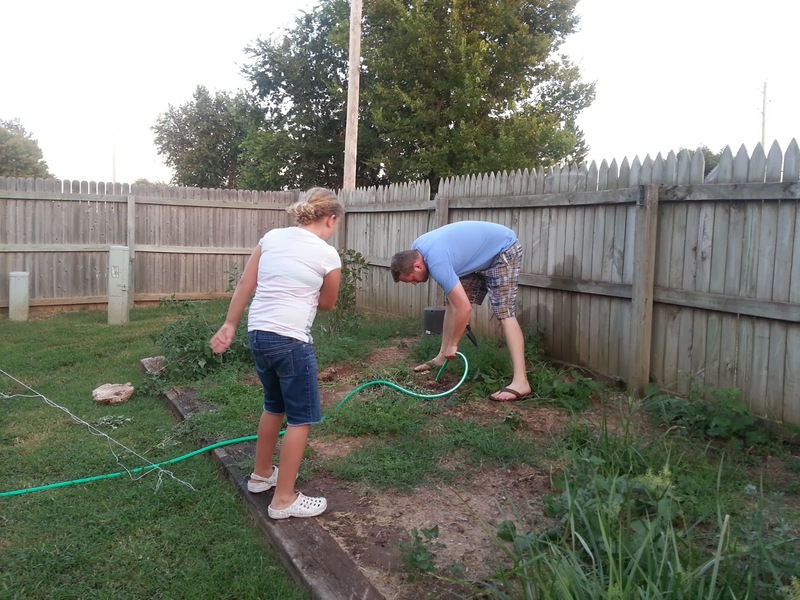 After dinner, Corrinne recruited her dad to try to flood out that mole. I don't think they ever got him. Meanwhile, Alec and I did what we do best. 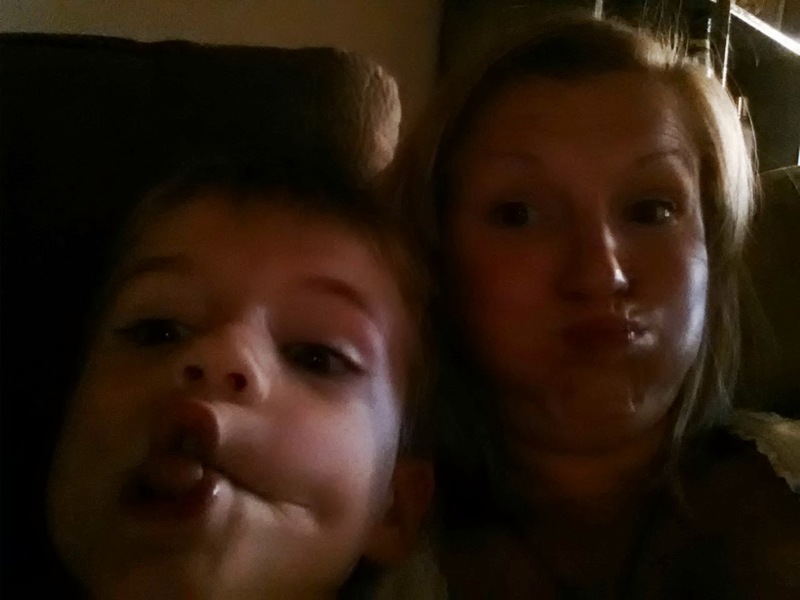 Snuggle and make silly faces at the camera. Family night is simple. Family is simple. Be together. Pay attention. Don't stress. Have fun. *No set quantity of any of the ingredients. You can do more or less to taste and just as much of each as you may need for your family.